The Calgary Stampede Archives collects and preserves materials that help tell the story of the Calgary Exhibition and Stampede, its role in the community and western heritage in southern Alberta from the mid-1800s to present. Its collection contains digital images, souvenir programs, corporate records, artifacts and more. We are proud to make this information available to the public and extend our appreciation to the Alberta Lottery Fund's Community Initiatives Program for partially funding the project. 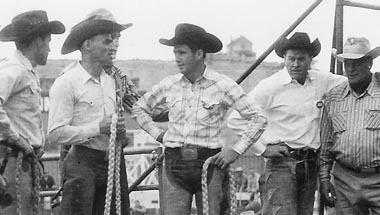 The Historical committee preserves, presents and promotes the history of the Calgary Stampede starting from its earliest days as a fair in 1886, to the first Stampede in 1912, all the way to present day. Its annual activities include: maintaining and creating exhibits on and off Stampede Park, assisting with the preservation of artifacts in the Calgary Stampede Archives and hosting historical events on and off Stampede Park. If you have a passion for history and are interested in joining the Historical committee, please contact the Calgary Stampede's volunteer services. 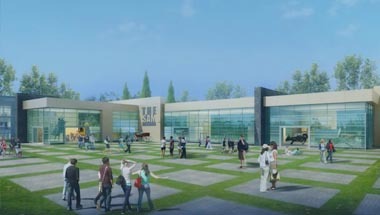 Thanks to a generous endowment from Calgary philanthropist Don Taylor, the Calgary Stampede will be opening the SAM Centre, a western heritage interpretive centre. It will be a permanent place for Calgarians and visitors to learn more about our history and heritage. If you would like to conduct research in the Calgary Stampede Archives, please use our online form, contact us at archives@calgarystampede.com or call 403-261-0407. 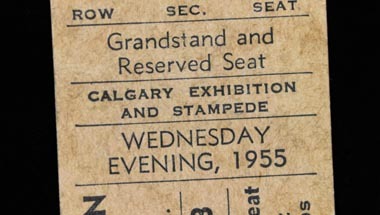 The Calgary Stampede Archives are accessible five days a week, by appointment only.